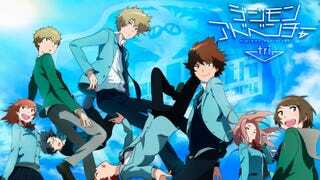 Most likely due to the troubled development that Digimon Tri seems to be undergoing very little is known about the then much awaited anime and now of course six part movie series, which in itself is still kind of a mystery. However according to ANN intrepid users have discovered within the source code of the website references to Daisuke better known as Davis to North American audiences. Daisuke/Davis is of course from the sequel anime Digimon Adventure 2.